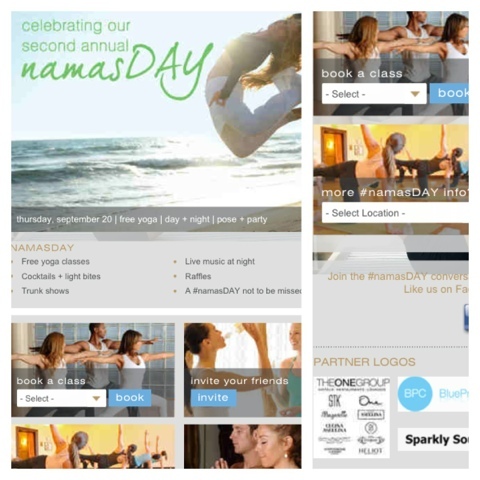 To celebrate National Yoga month, ExhaleSpa created a NamasDay event where participating studios held free yoga classes for all to attend. There will also be trunk shows with great vendors to create a mini market to shop, drink and mingle! Last year was the first year they had it and although I didn't sign up for a class, I vowed to take one this year.